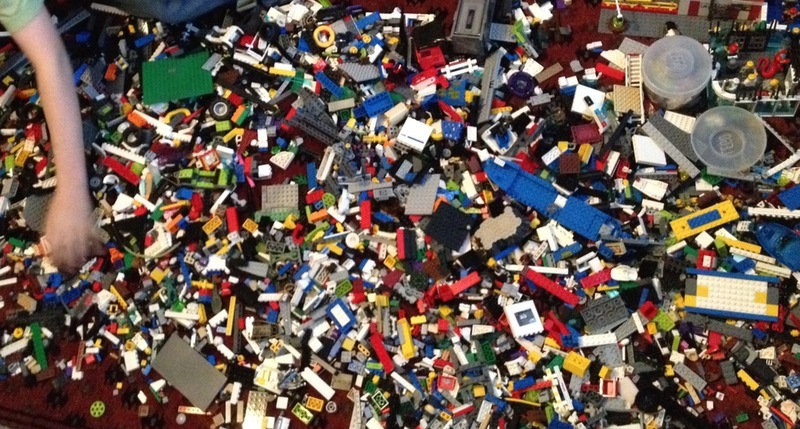 A Saturday afternoon and I find myself willingly pouring out boxes of LEGO® on the lounge carpet. I was excited, but for selfish reasons. Sure, it gave the kids something to do for the entire weekend, but I was also really curious about what I could pilfer. I was, I admit, trying to do this surreptitiously, but it didn't take long for 12yr old Loki to cotton on to my growing hoard and lack of build. Loki: "What are you building with that Lego?" Me: "Nothing. I'm just pilfering." Loki: "What does pilfering mean?" Loki: "So why don't you just say stealing?" Me: "Because pilfering is a better word." Loki: "You should just say stealing." So, why was it that I was pilfering, ok, stealing, bits of LEGO® from the kids collection? Because I wanted to supplement the bricks in my LEGO® SERIOUS PLAY® collection. To be specific, I was looking for LEGO® that could be used as metaphors. In part three, you give meaning to your models by the power of story-telling and through the use of metaphor. It isn't about building what you already see, it's all about the story. We use metaphors to deal with issues of culture, social and personal identity, group identity, systems and structure, emotions, thoughts and actions. They help us move from insight to understanding. A red (blue, green, pink) brick could be an emotion, a window could represent vision, a pillar could signify status. Metaphors are powerful tools, helping us convey our individual realities in new or different ways. They enable us to create new viewpoints, challenge assumptions and beliefs, grab at emotions and reveal new insight in a minimal number of meaningful words. Once you have a model in your hand it is easier to communicate more easily and confidently. It is concrete, 3D and in real time. You own your model, and your story - if you say the ladder is your pathway to success then we believe you, if the flame represents your hearts desire, we roll with it, if the yellow life-saving ring is your backup plan B, we nod in understanding. MIT Professor David Schon has argued that metaphors can generate radically new ways of understanding things (Schon, 1971). According to Schon, a metaphor is much more than "flowery language"; it can play an active, constructive, and creative role in human cognition. The LEGO® brick has never strayed off the birthday or Christmas wish list in this household. From Fire and Police Stations, ships to Star Wars, each creation is made only once to the plans. From there they become unceremoniously edited, stood on, crushed and dismantled. It is only then that the imagination really takes over and the creations become a minefield of metaphor, exuberant, defying and bold. Loki: "Hey, I found you some 'gold'!" If you'd like to find out more about the power of LEGO® SERIOUS PLAY® and how it can help your organisation foster innovation, insight and collaboration, then please get in touch.